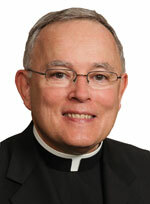 Listen to Archbishop Charles Chaput’s Christmas blessing. A very Merry Christmas and a Blessed New Year, Eminence. Please keep St.Bernadette of Lourdes Parish in your Prayers. We have an awesome Parish. A very Merry Christmas to you, Eminence. We are blessed to have you as part of our lives. We pray that the new year will be a wonderful one for you and for the coming of a great event – The world Meeting of Families, 2015. God’s blessings. It is such a gift to have you as our spiritual leader. I include you in my daily prayer that you may continue to listen to God’s Will in all of your difficult decision-making challenges. I happen to work for the Archdiocese as a clinician with Catholic Clinical Consultants. What a privilege for which I have much gratitude.